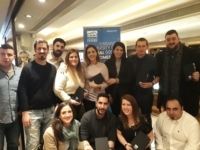 The University of Reading is excited to be hosting a very special alumni reception at the Hilton Cyprus in Nicosia on Wednesday 27 March at 19:00. All University of Reading and Henley Business School alumni are cordially invited to attend. This will be a fantastic opportunity to connect with the wide network of alumni in Cyprus, as well as to re-engage with the University. Professor Dominik Zaum, Pro-Vice-Chancellor for Research and Innovation, will be delivering an update on the University’s progress, and you can also find out about our alumni group in Cyprus, an alumni-led committee which aims to strengthen the bonds between Reading alumni and the University. Attendance is free, but please note that registration is essential. Canapes, drinks and other refreshments will be served. 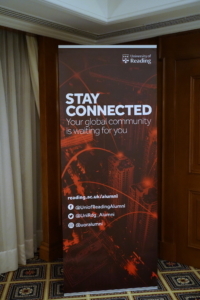 If you have any questions, please email alumni@reading.ac.uk or call +44 (0) 118 378 8006. Do not miss this wonderful opportunity to reconnect with Reading!